Some of the street art created during the Femme Fierce paint jam. Left artwork by Amara Por Dios, right artwork by Lou Ireland. Photo by Alex Wallace. Start playing word association with Croydon and 'art' is probably not the first thing that comes to mind. But the borough has something of a pedigree. The Croydon School of Art (rebranded back from Croydon Polytechnic in 2013) counts David Bowie and John Rocha amongst its alumni. Sure, Croydon doesn't quite get the press of the ‘grand’ and historic galleries of the West End, or of the infinite street art scene that makes up much of east London’s backdrop, but things are starting to get a lot more lively. And it's mainly down to the efforts of one man. One extremely tireless (and tired) man. From Purley. His name is Kevin Zuchowski-Morrison and he has a vision. Kev, as he likes to be known is a soft spoken, smiley-looking guy. His accent is not quite the estuary English of certain parts of south Croydon nor the rougher, urban brogue of the more northern parts. He hasn't even had the chance to change out of his bike shorts and, in-between bites of smoked Polish sausage (from a shop with one of ‘his’ artist’s murals on it), he is assailed by phone calls and a parade of people dropping into the gallery to chat. He’s an economics graduate who found himself in the 'art game' after promising someone, on a whim, that he could source them an Andy Warhol print cheaper than anyone else. Kevin built-up his career in brokerage, mainly working as a specialist dealer of Warhol prints for his bread and butter, while plotting bigger things. Amongst these 'bigger things' was the positive social potential of art and how he could use it to benefit his home town of Croydon. Flash forward a few years and you shall find Kevin inside the gallery he built — which took £42,000 of his own money, six months of work and the arduous task of convincing an extremely sceptical landlord to extend his lease beyond the two months he was first promised. 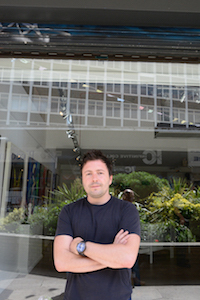 This is the Rise Gallery and it has become the hub around which Croydon's flourishing art scene revolves. The name Rise was partly inspired by the idea of Croydon rising from the ashes after the riots of 2011 when parts of the town were burnt to the ground. Rise hit the ground running — opening night was an exhibition of the work of Damien Hirst, no less. Since then the gallery has continued to pull in some of modern art's big names: Rich Simmons, Schoony and FAILE being just a few examples. From 30 July, Banksy’s work will be displayed. Elitism, however, is not what Rise is about. The exhibition schedule is an on-off, alternating pattern of established and emerging artists. Kevin is quick to point out pieces on the wall from new artists in areas like Sydenham and South Norwood. Yes, the gallery itself is a commercial operation, but one of Rise's big recurring themes (and a word Kevin likes to use) is 'inclusion'. Which is where the rest of the plan comes in. Kevin's plans for Croydon at large — and what he’s dubbed 'the Art Quarter’ — are where things really get interesting. 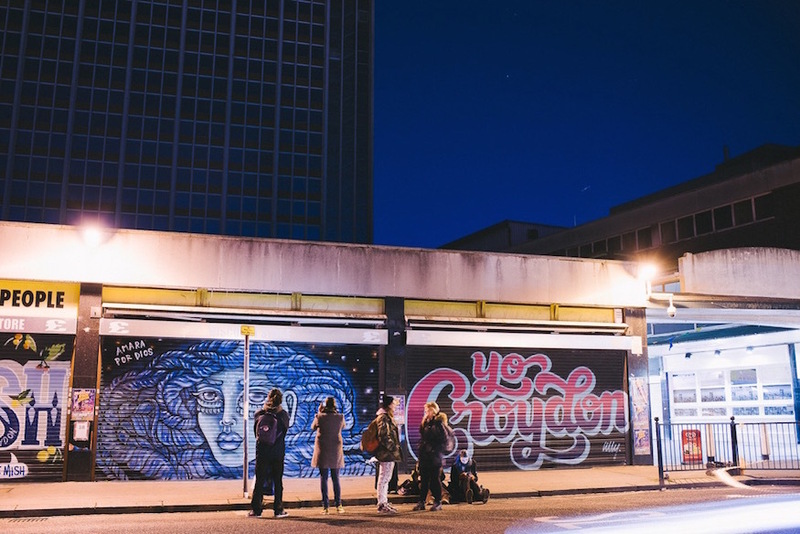 He saw an opportunity to transform the recently-dilapidated area around the town centre in Croydon using art as the medium and trying to get as many people involved as possible. It’s been bumpy but after just over a year, Kevin (and Croydon) are starting to see the results. 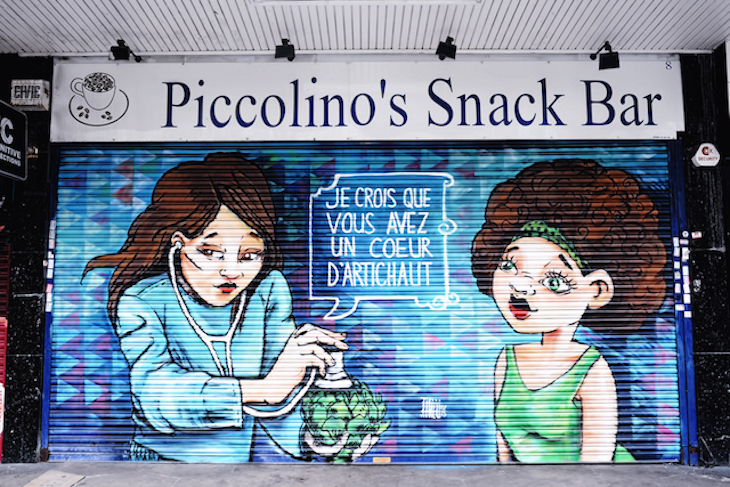 Inspiration originally came from Australia, and how Melbourne local authority transformed the Melbourne Lanes by inviting artists down to this forlorn part of town to do what they do best. Five years later, the once-sorry area now draws in 400,000 visitors a year and has seen a real reversal of fortune. Kevin told Croydon Council he wanted to do something similar but says he was told that it would be too expensive and encourage antisocial behaviour. Undeterred, he set off around the world on a research trip, coming back with case studies and statistics for his second pitch. He finally got a tacit ‘endorsement’ from the council, but not much in the way of practical support. And no funding either. Next up was a matter of convincing the three major corporate landlords and all the tenants in the area to get on board. Then later, as it would turn out, the local illegal graffiti scene who didn’t take kindly to new work on ‘their’ turf. "Everyone thought I was nuts at the beginning. My accountant thought I was going mad. I don't think the landowners understood what I wanted to do," he remembers. Kevin chose this area after the departure of Nestle in 2012 took a lot of the life and other businesses out of the area. Also because it doesn’t clash with the billion pound Westfield development deal happening less than a mile away. Kevin started making headlines with the Femme Fierce ‘paint jam’ / takeover in February which resulted in 60 female artists and over 1,500 people showing up in a single day. 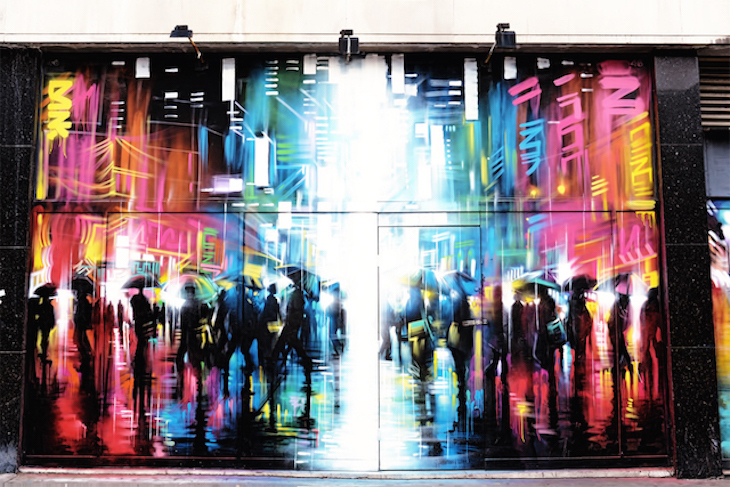 It was the biggest event of its kind in Croydon and got the ball rolling on a plan for 140 mural spots located around the Arts Quarter that would change every 12 months (though some transition more frequently than that). Artists from as far as Argentina and Iran have come to contribute. But not everyone was pleased with the results. Some of the local graffiti community took offence at Femme Fierce’s takeover and a few days later painted over the new work. Kevin laughs: “Everyone went mental; we had old grannies coming down to the gallery telling me 'let's get the bastards!'" Not to be deterred, he met with the taggers and let them know that while this was not OK, he wasn’t going to prosecute. In fact, he managed to eventually bring them over to his side. How? The ‘legal wall’ — an area on the eastern side of St George’s Walk which essentially functions as a sanctioned, artistic free-for-all. Anyone can contribute (and often they do). 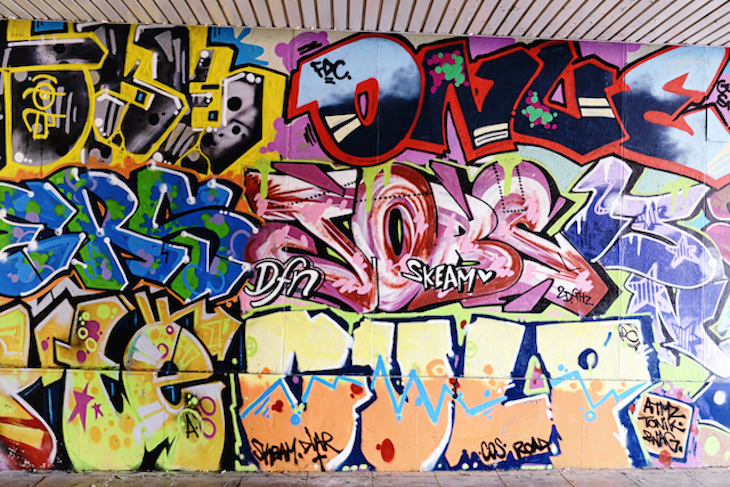 Like a chameleon with a skin of aerosol paint, the legal wall changes every time you look at it. Wander along at any time of the day and you might run into someone with a spray can and a few ideas. The rules (and there are some) include "no smoking weed or drinking special brew, respect the local businesses, and do your work in daylight hours". The strategy seems to have worked. The original taggers are now on board and the area is self-policing, partly down to their efforts. Some of them have even opened their own art supply shop in the area. In around six months, the Arts Quarter has resulted in an increase in footfall of over 400%, plus re-occupancy/offers on all of the retail units in what had become a very derelict area. And without a penny of taxpayer money. But, according to Kevin, it's still not getting any easier. Whereas the art community has been supportive from day one (“if you do new things, they get right behind you”), his biggest challenge at this point is dealing with the perceptions of people from outside of the borough. Getting Londoners to take the area as a seriously credible place for art is an ongoing struggle. As is getting Croydon Council to see the full potential of what he wants to do with the town centre. As ever, Kevin is not deterred. "People are hesitant to come to Croydon, or they make comparisons to east London, but really we're not trying to be anyone or anywhere else." Femme Fierce will be back in 2016 with their next takeover expected to be double the size. There'll be more than 100 female artists coming from all over the world. Kevin is also in the process of signing off a collaboration with a very well known street artist for what looks like the largest piece of street art in the world. It'll be installed on the north side of the derelict Nestle building and stand around 79m tall. Then there’s his plan for a new market in the Arts Quarter, which has just been signed off. Artisan food on Fridays, art on Saturdays, and a vintage fair on Sundays. When asked about his vision for the future, Kevin’s eyes light up. "An area that's accessible for creative people and communities. Artist studios. All sorts of art, light installations, fairs based on futurism… there should be much more to Croydon than just coming to the new Westfield and leaving."